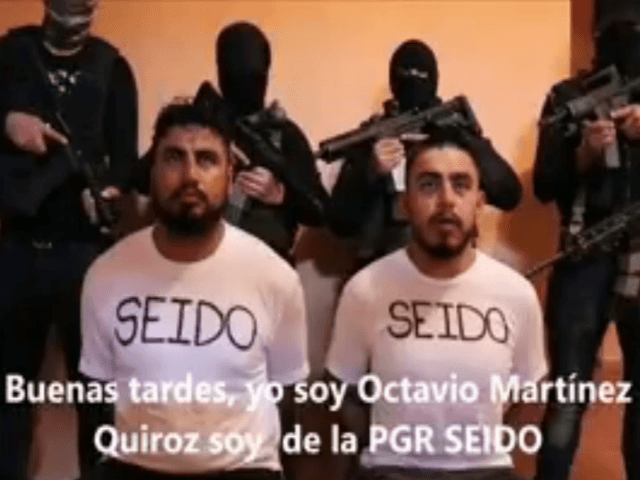 Last month, hit men from the Cartel Jalisco Nueva Generacion (CJNG) kidnapped two federal police officers in Nayarit and forced them to record a video threatening the federal government for allegedly carrying out illegal actions against the cartels, Breitbart Texas reported. Days after the video came out, federal authorities confirmed finding the bodies of officers Alfonso Hernandez Villavicencio and Octavio Martinez Quiroz. The bodies of the kidnapped officers were found in the trunk of a vehicle and showed signs of torture. As part of a large-scale investigation into the murder of the two cops, Mexico’s Attorney General’s Office announced the arrest of 18 cartel employees including various lawmen. The Colombian capo Mauricio “El Manotas” Varela Reyes, who is the regional head of the CJNG in Puerto Vallarta, Jalisco, is accused of having planned the kidnapping of the federal officers. To carry out the kidnapping, Mexican authorities claimed that Varela Reyes had the support of local police who were reported to be at the service of the cartel. They are believed to have stopped the two men and turned them over to the cartel. The 18 men tied to the investigation include the chief of police of Puerto Vallarta, Ubaldo “El Cocho” Cruz Cárdenas and the CJNG communications head, Luis Manuel “El Ingeniero” Cruz Gomez. He is considered to be responsible for disseminating the recorded narco-message of the recorded federales.